Online coaching, specializing in all distances of triathlon. Also running or cycling specific programs. Race specific training camps. Wide range of training options for all ability levels and age groups. Bike fit, power and lactate testing, nutrition assessment and planning, consulting, mental training and biomechanical assessment available. Video analysis of sport technique. 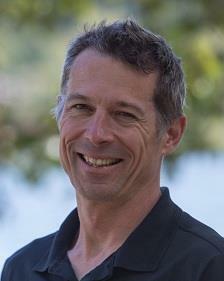 I am an NCCP as well as IRONMAN U certified triathlon coach with over 20 years coaching experience. I have been around high-performance endurance as well as skill based sport my entire life. For the past 10 years I have guided many athletes to achieve their best whether at local races, 70.3 and IRONMAN events and at World Championships. My philosophy is to develop a realistic training schedule that fits in each athlete’s life. This also must be fun and enjoyable. A coach much strive to find that balance of training and recovery, while including the many other aspects of life, that allows the athlete to achieve their goals. Besides coaching, I am a top AG contender in all distances of triathlon having competed in Ironman, 70.3 and XTERRA World Championships. I really believe that participating in the sport as an age group athlete makes me a better coach. It gives a more in depth understanding of how to balance work, life and training. I have experience with all distances of triathlon in every type of condition, and know how to fit the required training in with limited amounts of time! Success. Coach Dan Smith has been notified of your message. To hire Dan Smith as your coach, select the coaching service that is right for you.